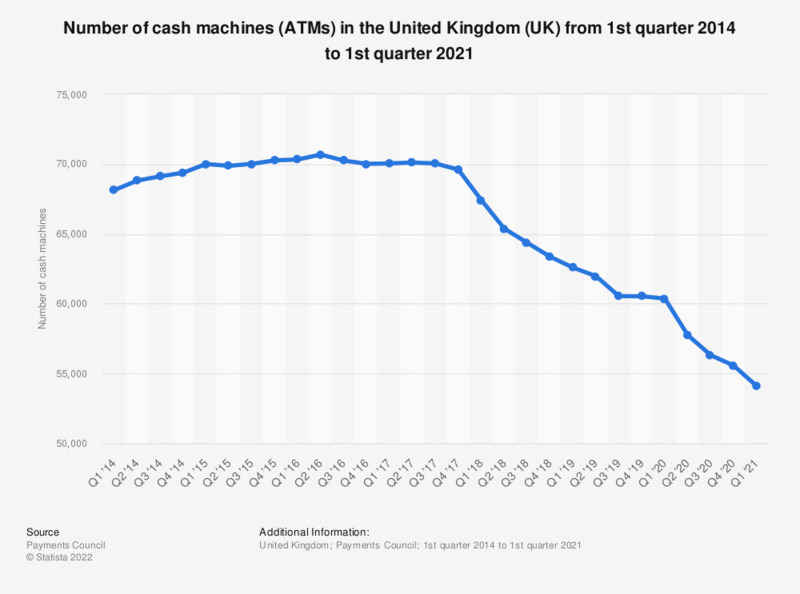 This statistic illustrates the number of cash machines in the United Kingdom (UK) from the first quarter of 2014 to the third quarter of 2018. ATMs are banking outlets designed for maximum access to banking transactions and information, outside of bank working hours and without the assistance of a clerk. It can be seen that the total number of cash machines increased between the first quarter of 2014 and the second quarter of 2016, reaching a total of more than 70.6 thousand as of the second quarter of 2016. Since then, the number of ATMs has in fact decreased by over six thousand across the United Kingdom, totaling approximately 64.4 thousand as of the third quarter 2018. * Figures correct as of the end of each period. Everything On "ATMs network in the United Kingdom" in One Document: Edited and Divided into Handy Chapters. Including Detailed References. Statistics on "ATMs network in the United Kingdom"
How would you describe the reputation of Nationwide? Do you agree or disagree with the statement, "Bankers are greedy and get paid too much (salaries and bonuses)"? Do you agree or disagree with the statement "I am confident that the banks comply with the Government regulations"? How would you describe the reputation of RBS? Do you agree or disagree with the statement "Banks are critical to getting the UK economy going again"? Do you agree or disagree with the statement, "Bankers are at best unprofessional, and worst dishonest"? Do you agree or disagree with the statement "I believe UK banks are actually getting better"?